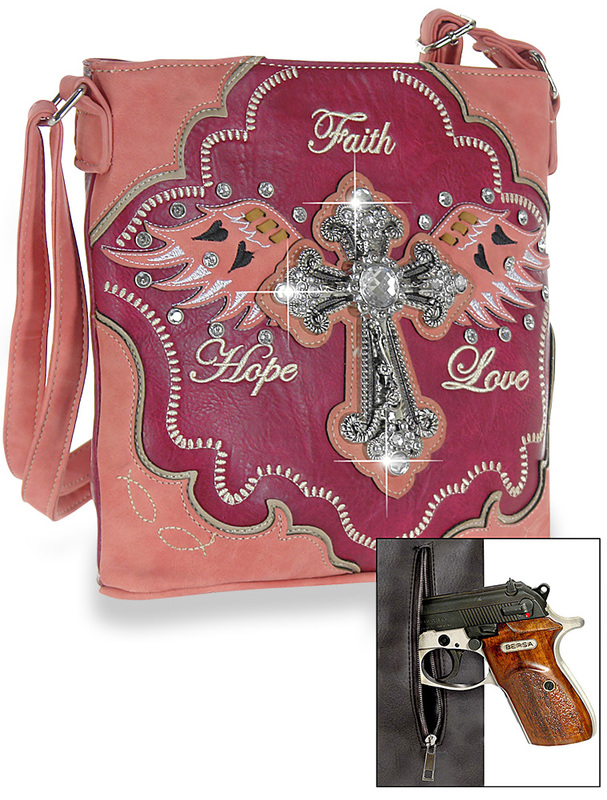 A highly decorative rhinestone cross accents the front of this western styled crossbody sling. 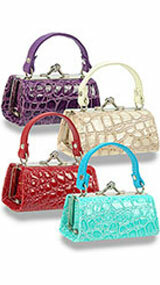 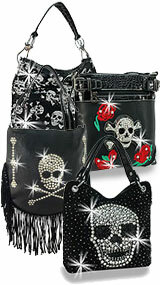 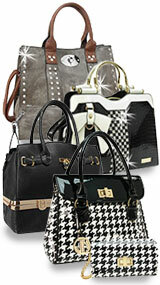 It includes top stitching, stud and rhinestone patterns and tooled trim work. It is highlighted by inspirational "Faith Hope and Love". 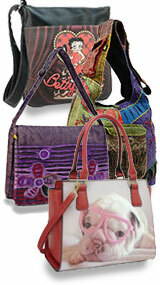 Also featured is a special zippered pocket on the back to secure a concealable handgun.